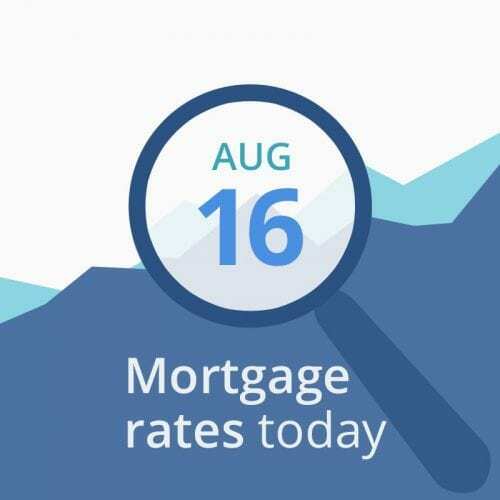 Average mortgage rates today are remarkably stable and have been all week. Almost no changes, which is good for those of you still floating a rate. We got two relatively unimportant reports. It takes a big surprise from these to alter rates much. Weekly Jobless Claims (213k previous week) came in with no surprises at 212,000 new claims. But Housing Starts for July (1.274 m predicted) really disappointed with a 1 percent increase to an annual rate of just 1.68 m new homes. The slowdown could be slightly good for today’s mortgage rates if it indicates economic softening. And the Turkish monetary crisis (although improving) continues to fuel demand for American mortgage-backed securities, keeping our mortgage rates low. In addition, China and the US are now speaking again, which could mean good news and an eventual end to the trade war — probably a good thing for rates because trade wars are historically inflationary. Today’s data are neutral-to-unfavorable for mortgage rates. But mostly neutral. If I had a loan in process, I’d be inclined lock. Unless by floating a day or two, I could get a better deal (15-day instead of 30-day, for instance) by doing so. But locking in today is also a good decision, because today’s mortgage rates are so favorable. Wednesday and Friday are the most important days for economic reporting. Anything indicating increased consumer activity or confidence is bad for mortgage interest rates. The reverse is also true. And when actual figures exceed analysts’ expectations, rates can increase. When actual numbers fall short, mortgage rates often fall.